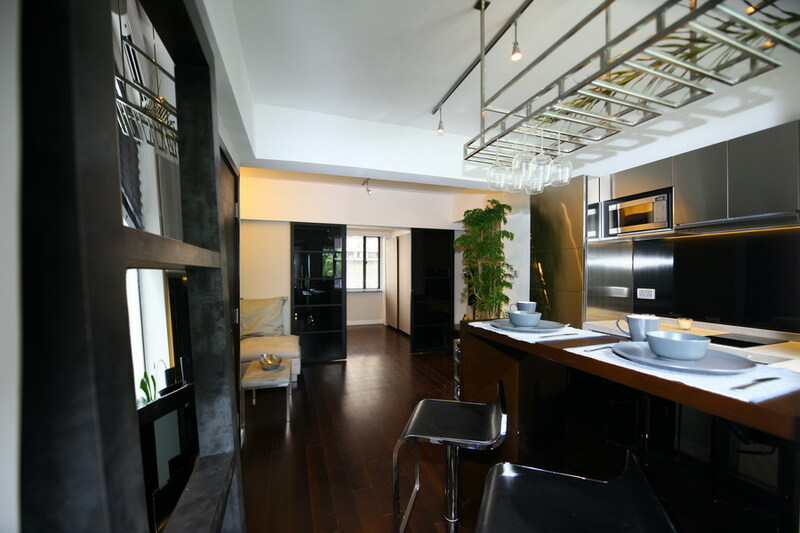 This charming 5th floor apartment is located in a 1964 Chinese Walk-up in Sheung Wan just behind Hollywood Road Park. The unit consists of a large master bedroom with ample storage space, an open-plan kitchen and living area and a spa-like bathroom. The Balinese-style bathroom features hardwood floorings and a large two person bathtub and rain shower with beautiful views over Hollywood Road Park.